Half their offense is on the shelf, not to mention their ace. Time for Who, What and I Don't Know to pick up the pinstripes. Yankees shortstop Troy Tulowitzki is trying his best to remain positive despite a trip to the injured list just six games into the season. 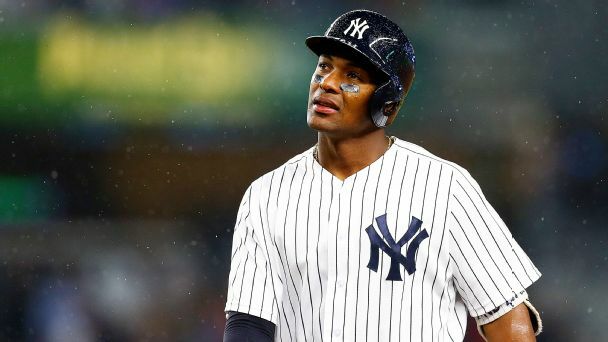 Yankees shortstop Troy Tulowitzki was placed on the injured list with a left calf strain, joining 10 other Yankees currently on the list. GM Brian Cashman isn't one to panic. But with his third baseman possibly facing season-ending surgery, there are trades out there to be made. Working his way back from ankle and heel injuries, Troy Tulowitzki hit his first home run since July 8, 2017, on Saturday. 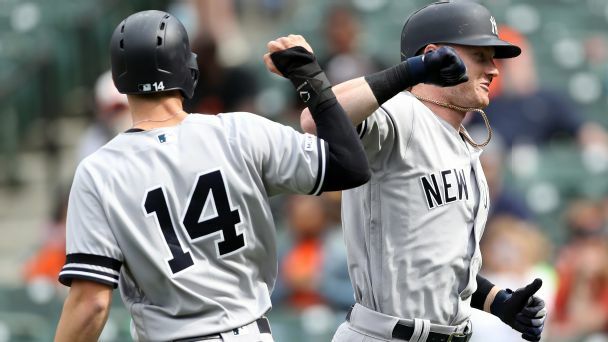 The ninth-inning homer sparked a rally, but the Yanks still fell 5-3 to the Orioles at Yankee Stadium. 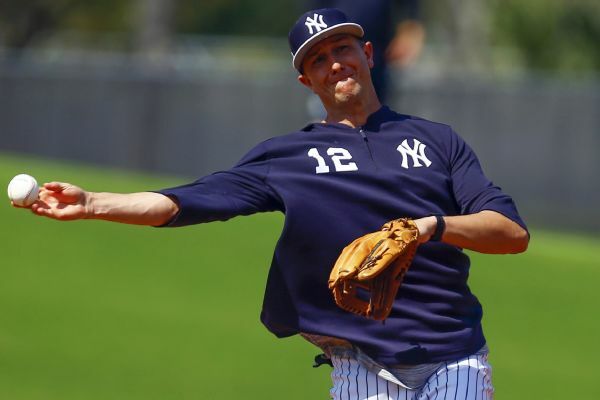 Despite a slow start at the plate that has seen him go 3-for-17 in seven games, Troy Tulowitzki is doing just fine, according to Yankees manager Aaron Boone. 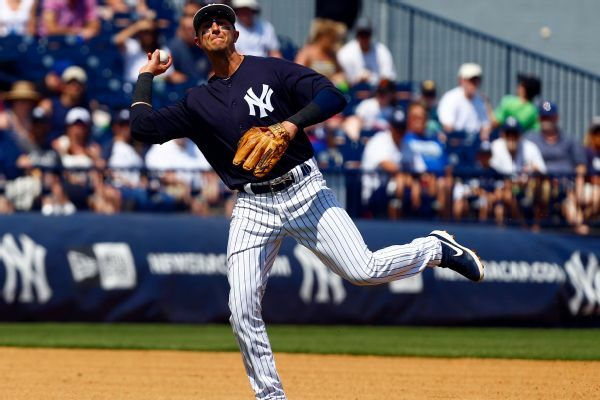 Yankees shortstop Troy Tulowitzki, who was cut by the Blue Jays in December after two injury plagued seasons, "got a little pumped up" after homering against his former team. Troy Tulowitzki, who missed all of last season with the Blue Jays due to injuries, says he's healthy and excited about chasing a World Series title with the Yankees. Hal Steinbrenner has heard the constant criticism in New York: Why haven't the Yankees tried to sign Bryce Harper or Manny Machado? Will Manny, Bryce join long list of Yankees' shiny new toys? Manny in pinstripes? Bryce in the Bronx? The rumor mill might be telling us otherwise. But Bombers fans like big offseason splashes -- and usually get them.